A bit late but never the less! We went to Myoko Kogen for 3 weeks in Feb 2011. We had good snow fall in the first week with a couple of 30cm+ days and a nice 5cm dusting another couple. The second week we had nothing but clear blue sky and spring snow (ie slushy), which was nice for a change but not really why we were there. The third week snowed the whole time with one massive 80-90cm dump where we got around to taking most of these pics. As far as the resorts are concerned Akakura Kanko was great and right on our doorstep. Onsen was boring - we only went there for one afternoon but they do do night skiing which was a first for us. 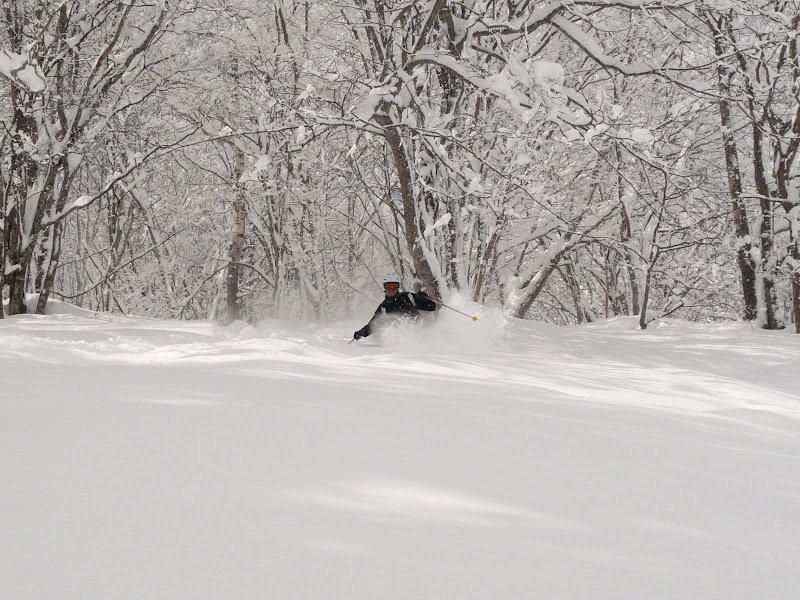 We got loads of powder at both Ikenotaira and Suginohara so I wouldn't claim one place as better than the other! We were supposed to go to Seki one day (there is a bus that leaves some days from the bus station in Myoko) but it was closed that day. Have to go next time though! The town has absolutely no apres scene at all - the pubs don't open until 6pm and tend to shut at 9:30 on a week night so if you're after parties, don't go. It does have a very Japanese vibe with not much English spoken in restaurants and hotels. There is a pizza restaurant (said to be fairly rubbish) but that's it for western food options. There are some really great izakayas in town (Kei was great and we had our beers served to us by the Akakan ski patrol in Pontaru) and the usual million noodle joints. This was a groomed run which then had 40cm of snow over the top. So like I said, if you want lots of snow and an authentic Japanese experience, it's a great place. If you want to be a bogan, get raging drunk every night and generally piss on the local culture, please don't go. This is not Niseko and it should stay that way. We stayed in the Hotel Windsor which gets a few Aussies through and has Aussie bartenders in the bar, but it doesn't seem to have suffered because of it. The owners are some of the nicest people I've ever met there so I'd heartily recommend it. The rooms are a decent size (apart from the Japanese standard comedy bathroom) and the price was right. 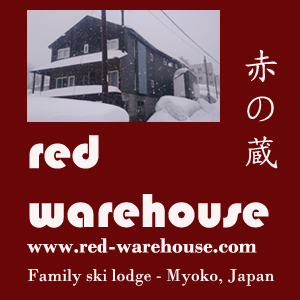 The team at Myoko Snowsports really looked after us for hire gear. They initially didn't have boots small enough for my missus, so ordered some brand new ones in for her, which I thought was great! It's a great place and I will be going back. Wish I was still there! Nice report See Farr - cheers. We'll put it in the running anyway for this season's prize. If you want to be a bogan, get raging drunk every night and generally piss on the local culture, please don't go. This is not Niseko and it should stay that way. The pizza restaurant seems to get bad wraps for some reason. I'll say here that I think it's pretty good actually. If you're hanging out for western food you could do far worse. I've already got the SnowSearch Japan book. It was fantastic and helped a lot in my resort decisions.